Metacafe is one of the most popular online video sharing sites. It provides millions of original entertainment-related videos and it's no wonder you want to download Metacafe videos so you can enjoy them offline on your computer and even portable media players. Now let's have a look on how to download videos from Metacafe with ease on Mac and Windows. Since Metacafe doesn't provide a Download button, to capture and save Metacafe videos, you need to get a video downloader first. 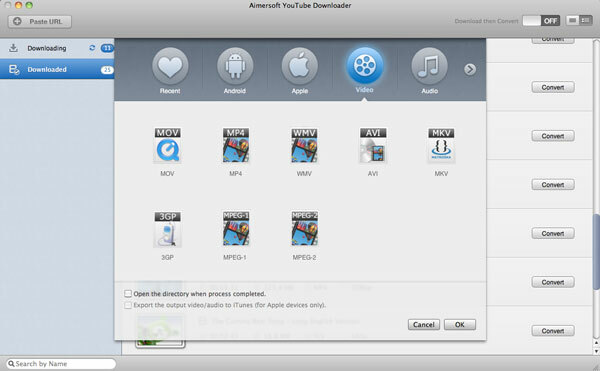 Here Aimersoft Best Video Downloader for Mac is highly recommended as the best Metacafe video downloader that lets you rip Metacafe videos with a single clicks. What you need to do is to click the Download button that appears on top of the video. Moreover, you can convert all your downloaded video files to MP4, MOV, AVI, WMV and more for play and share anywhere you like. 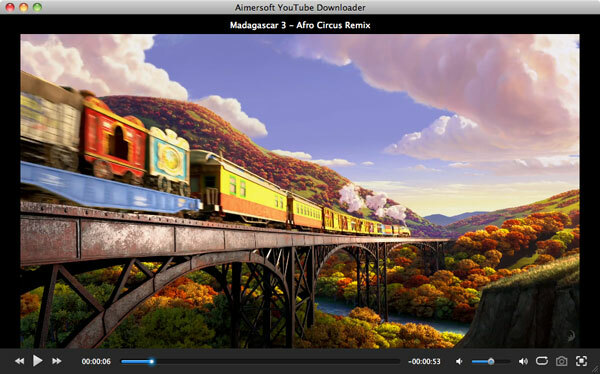 For Windows users, simply get the equivalent Windows version called Aimersoft YouTube Downloader to grab Metacafe videos in Windows (Windows 8). Here we use video downloader for Mac screenshots to show you how to grab Metacafe videos on Mac (Mountain Lion included). The steps to download video files from Metacafe in Windows (Windows 8) are the same. Just make sure you get the right version according to your situation. After downloading, double click the DMG file to install and launch the program. Then go to Metacafe and search and find the video you'd like to download. As the below pictures shows, when the video is playing, a "Download" button will appear on the top right corner of the video when you hover your mouse there (Firefox, Chrome and ID are all supported). You can then click the "Download" button to download the video to you hard drive. Tips: You can also copy the video URL address and click "Paste URL" to download online Metacafe videos. Or simply drag the video URL to the app to start downloading it immediately. In addition to Metacafe, you can also download videos from YouTube, VEVO, Hulu, Yahoo Video, Google Video, Vimeo, BlipTV and more sites. The software will then start downloading the video you've selected. All the downloading progress will show under "Downloading" tab as the picture below shows. All the downloaded video files can be found under "Downloaded" tab. Since this video downloader comes with a built-in player, why not just play the video on your computer with it instead of other media players. Simply double-click a video or click the "Space" button to start playing your video. Full-screen playback is well supported now. As has been mentioned above, this Mac video downloader is also a great video converter. You can click the "Convert" button beside each video clip and choose a proper output format to convert the downloaded video files to popular formats and devices like MP4, MOV, AVI, WMV, 3GP, MP3, M4A, iPhone, iPad, iPod, PSP and more. Metacafe has offices in different parts of the US and the world such as New York, Los Angeles, London, and Tel Aviv. Its headquarters is in San Francisco, although the company was technically founded in Tel Aviv. Metacafe is held by investors such as Highland Capital Partners, DAG Ventures, Benchmark Capital, and Accel Partners. The site features TV shows, music videos, sport specials, video games, and a lot of movie titles. Metacafe continues to partner up with original content publishers like film outfits, cable TV networks, sports leagues, video game creators, and music labels. Content coming from these publishers are considered premium entertainment videos and are published exclusively to the site. Metacafe enjoys an Alexa ranking of 450 and receives more than 13 million new viewers each month. The website currently has an archive of 53 million videos. This works much better since it not only download videos from Metacafe, but also other video sites and even lets you convert video to many popular formats. FreeMetacafeDownloader is free, easy to use and allows you to download any video clips.